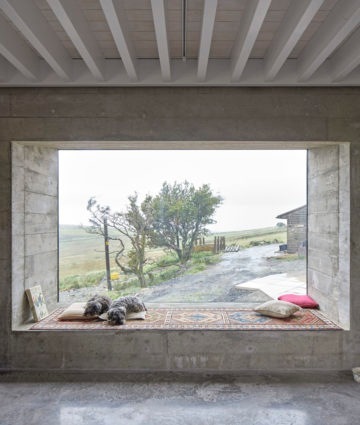 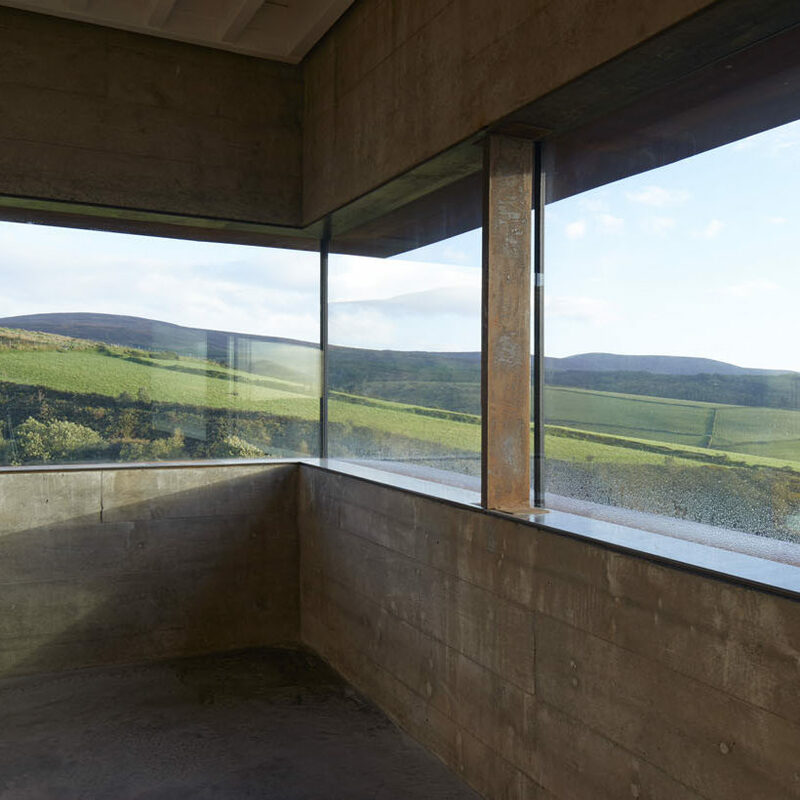 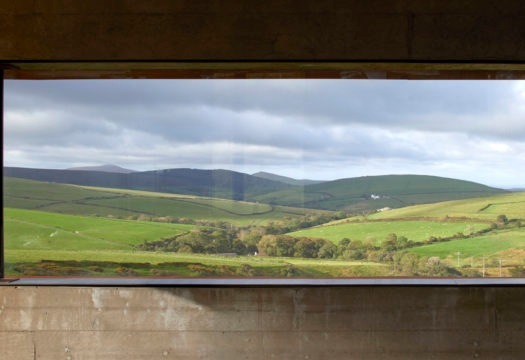 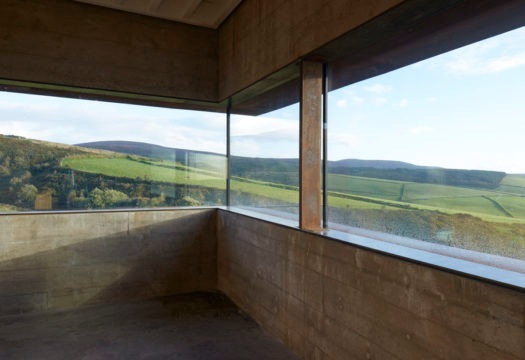 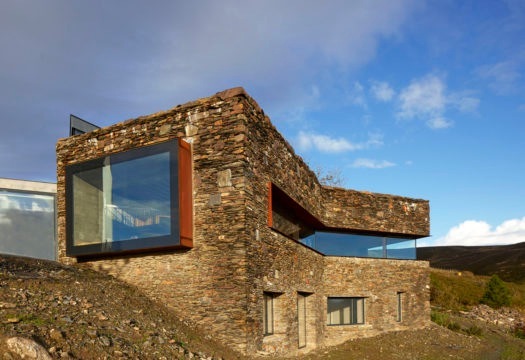 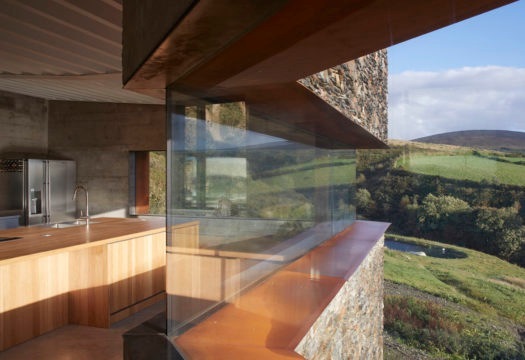 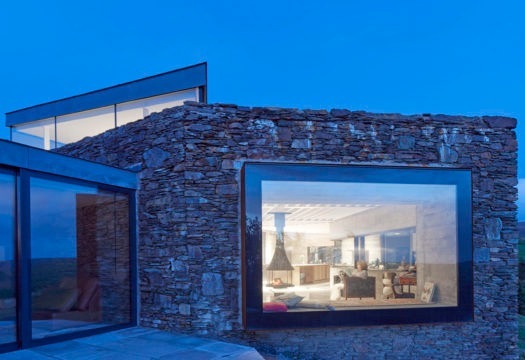 Synergy with the territory is the main characteristic of the project by the firm Foster Lomas for a house-retreat with contemporary architecture that blends into the rural landscape of Sartfell Mountain, on the Isle of Man. 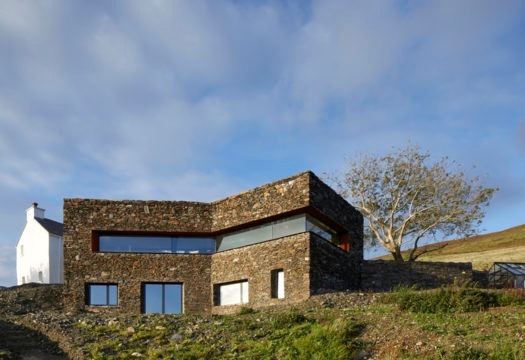 The project calls for the addition of a visitors’ center that will offer a platform for education on biodiversity, in a territory whose biosphere is protected by UNESCO. 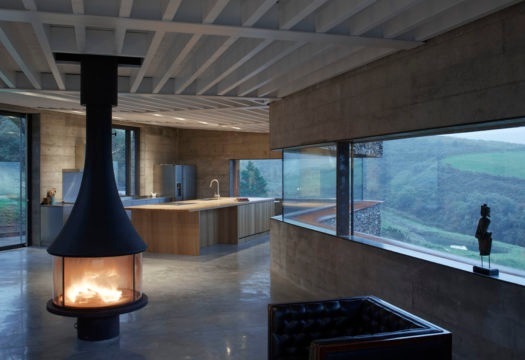 The residence, located in a large nature reserve on a hillside, is built with thick dry masonry walls (up to a depth of 620 mm) carefully made by local artisans. 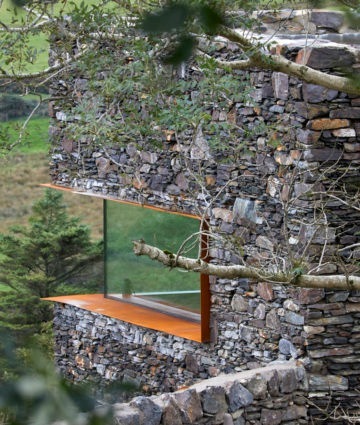 The continuity with the surrounding landscape also extends to the interiors, which stand out for a series of long ribbon windows set into the depth of the stone and framed with Cor-ten steel. 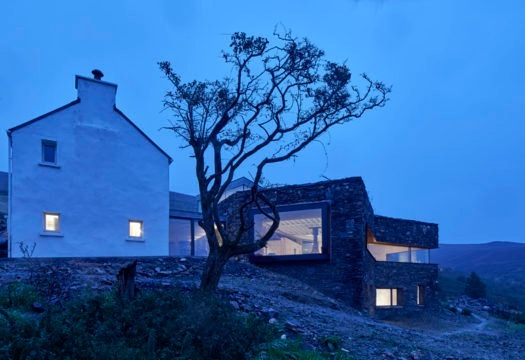 A glazed architectural link connects the new house to an already existing building, a traditional cottage known as Cloud 9, which has been completely renovated. 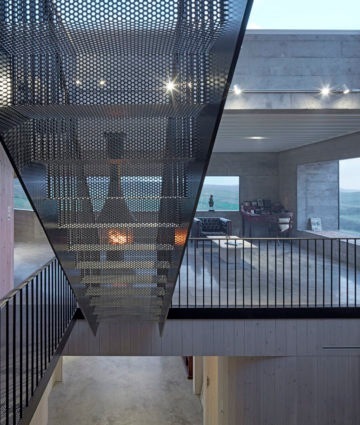 Minimal, elegant lines set the tone of the interior design. 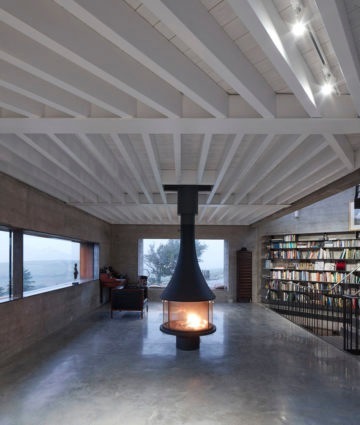 In contrast with the floors and walls in gray polished concrete, the exposed joists of the ceiling create geometric dynamism in the impeccable spaces. 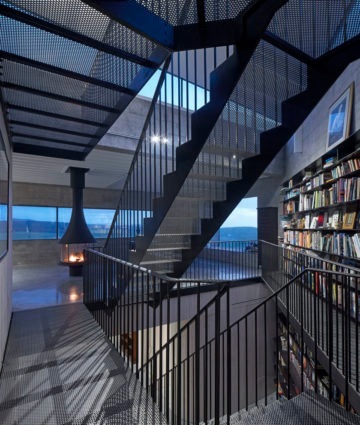 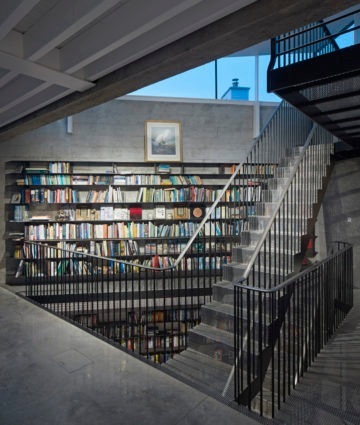 A sculptural staircase in perforated metal winds up through the three levels, flanked by a vertical library. 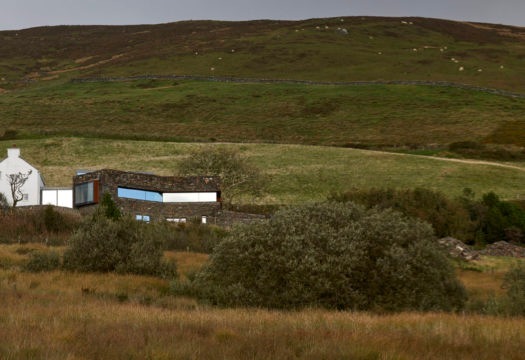 “A Restorative Rural Retreat for Sartfell” is a project that explores the relationship between landscape and self-sufficient architecture – creating zero emissions from energy use.